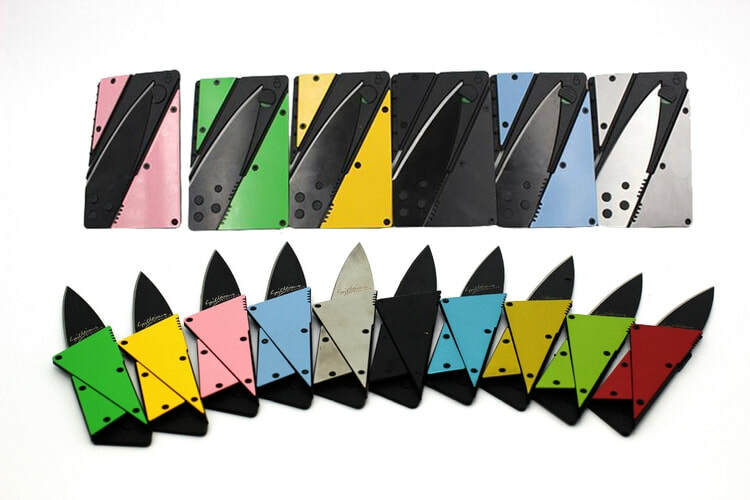 These custom logo imprinted credit card folding knives make a great giveaway for home shows, home improvement conventions, camping and outdoor expos, and more. This credit card folding knife can even be used as a trade show giveaway, because everyone needs to open boxes at some point in their line of work. This credit card folding knife has a low 500 pc. minimum order, and we customized them with your logo. These knives are well under $2 each and are another great idea from your promotional products friends at ASP. Custom Logo Everything Tool Under $3 ea. Momma said you could never have it all, but you can have your cake, you can eat it too, and you can cut that cake with these awesome promotional everything tools for under $3 customized! Size: 2-7/8" x 1" x 3/4"
Price Note: 1-Color, 1-Location Imprint Included with these personalized everything tools! Call 401-451-1874 to discuss your customized project! We also sell these blank, but come on, for this price, buy them customized and promote your dang business! If you buy enough of these V cut badboys we'll throw your one color logo on 'em and really rev everybody's engines! 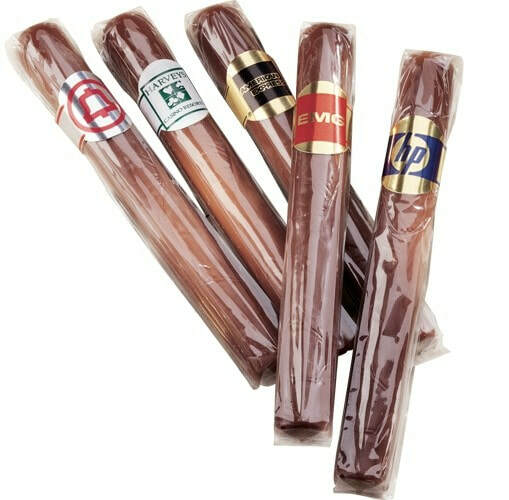 Anyone who enjoys the occasional cigar knows the importance of a V-Cut, it keeps you from getting tobacco shavings in your mouth among other benefits. Order some custom V cut cigar cutters today by calling 401-451-1874 or send us an email. These are a great custom promo or wedding giveaway for under $3 ea. These custom promotional folding hairbrush with mirror combos make a great trade show giveaway because they don't cost much to ship to your expo location, and people never throw away a good brush or mirror. I could keep rambling about custom promotional hair brushes with mirror all day, or you can call 401-451-1874 and place your order to impress your head of marketing with your awesome convention giveaway ideas. These are under $1.50 each and are union printed, so before you go saying you can get these from joe shmo down the street, remember who is looking out for your fellow 'Muricans and do the right thing by buying from Ad Specialty Products. 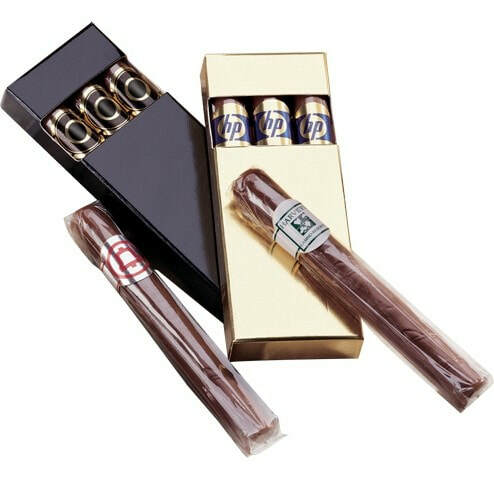 All of our chocolate cigars are available printed with a custom band. You also, depending on the one you choose, have the ability to order them in 4 packs with gift box, as a fun poker kit, or packed individually. Check out the pics below then call us about your custom chocolate cigar project at 401-451-1874. 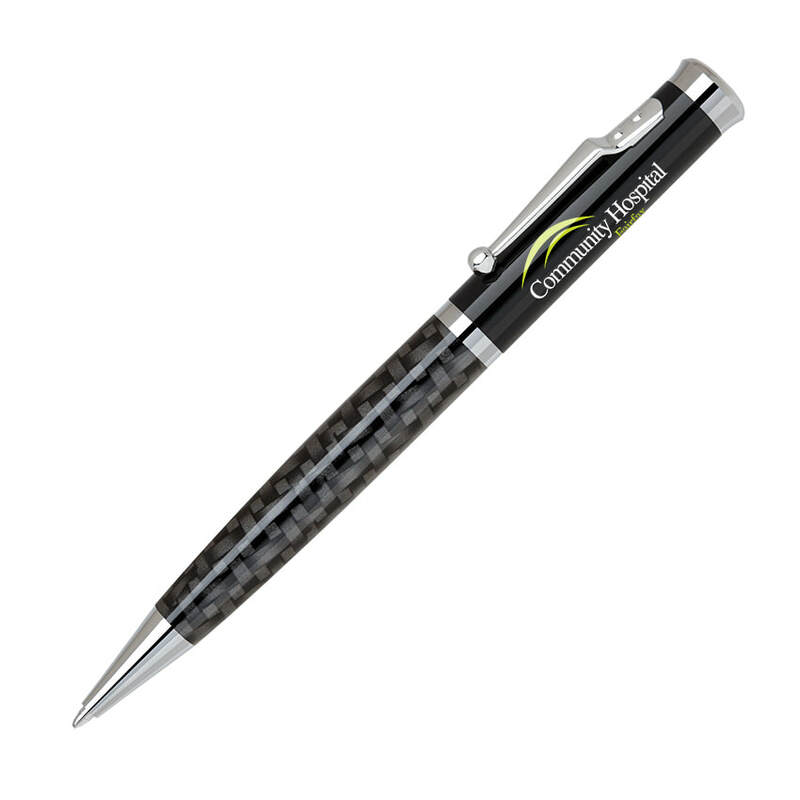 One of Our Nicest Metal Promotional Pens! • Your Logo on TOP as well! All inclusive special! 300 backpacks for $942!! FREE SHIPPING! Price includes your one color logo custom printed on the front! Unique alternative to the basic cinch up backpack. 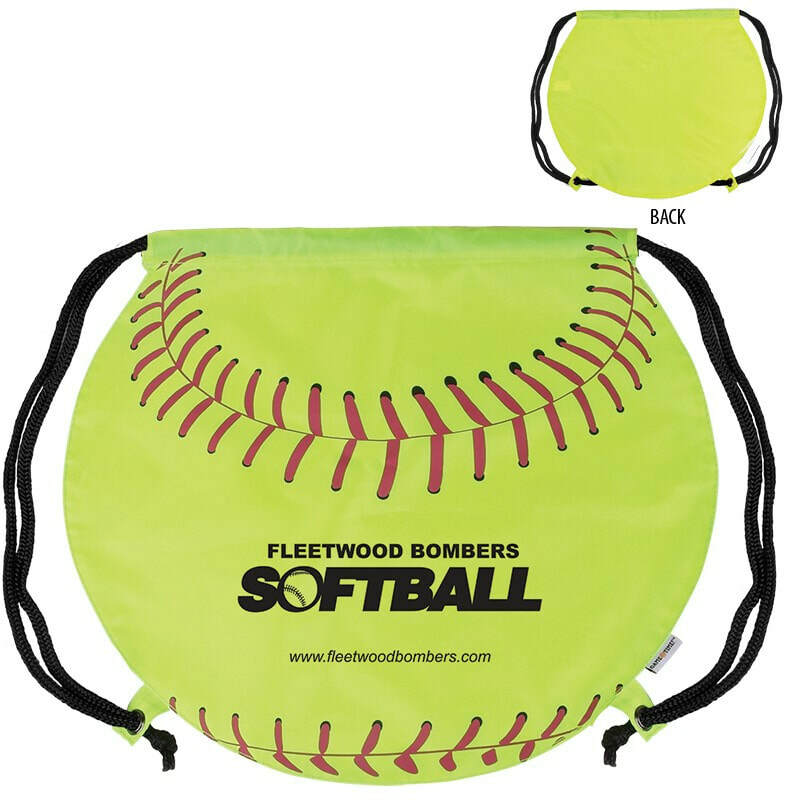 Our exclusive neon green/neon yellowish sports bags are available in 8 patented sports shapes with the same durability and reliability of the classic drawstring bag. Softball stitching stock art comes pre-printed on the front of each bag.Add your logo or message for an exciting and professional giveaway or promotion. Made of 210D Polyester and features grommet-ed adjustable soft black Nylon shoulder strap doubles as drawstring closure. Custom promotional letter size clipboards with clock are a no-brainer for any type of business where you are TRULY on the go. If you're busy on an inventory or on a medical emergency, you can't really be checking your watch or pulling out your mobile phone all the time. Clipboards are SOOOOO useful, and the clock just makes them even cooler. Ok, cooler may not be the right word, but logo clipboards with a clock clip are just a really good idea. 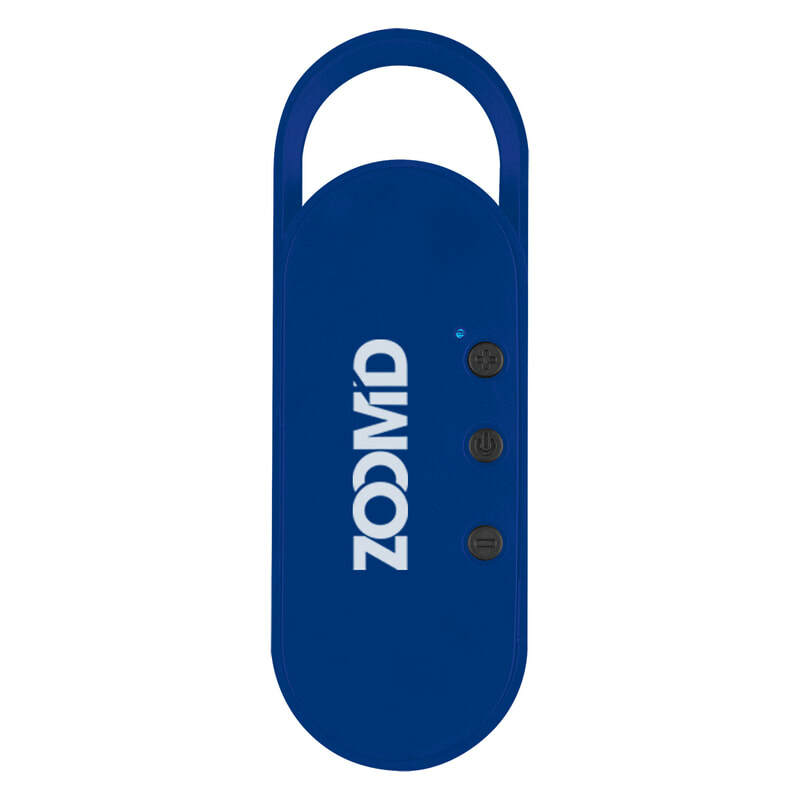 Buy them below then send your one color logo and board/clip color choices to sales@adspecialtyproducts.com. Need more than the amounts available below? Let us know...if we have them in stock we will give you a better deal. Looking for something that's a better business card than your business card? Everyone loves these, they are borderline magical. Order them right now and start marketing your business like you mean it with these promotional Hershey Kiss Singles! Price includes FULL COLOR label on bottom of your custom company logo Hershey Kisses. Call 401-451-1874 to order these, we normally would post the price here but it varies because sometimes we have to ship our chocolate promotional products with cold packs to make sure they arrive safely. 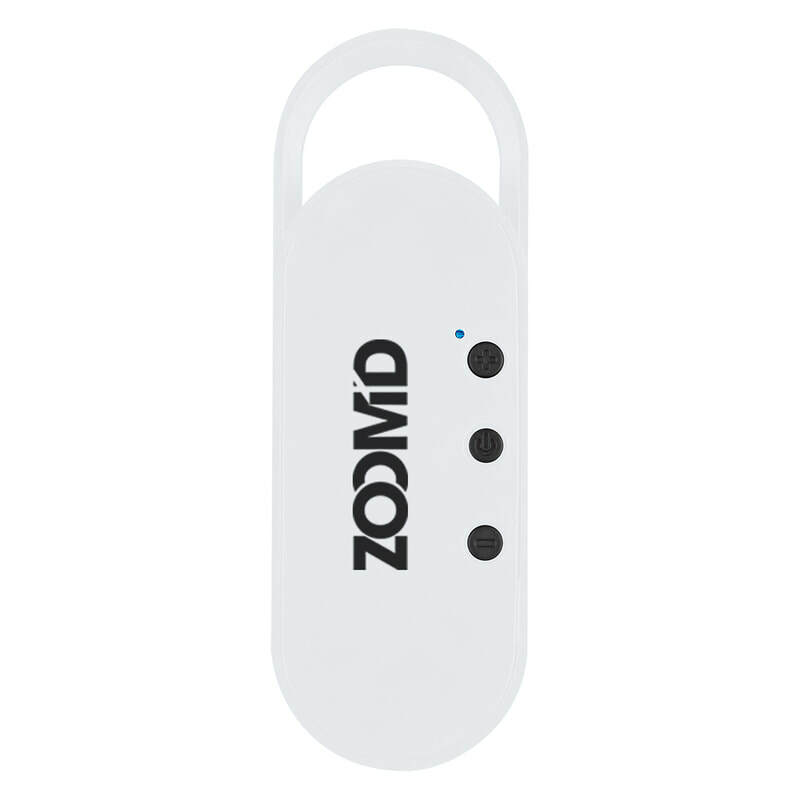 That is under $8 per Custom Imprinted wireless bluetooth speaker! Sale Price: 250 pcs. for $1999 Printed With your One Color Logo!